Get this first pattern finished! Ok, so that isn't what the walrus said in Alice in Wonderland but you get my point. Finally, at long last, I have completed all the necessary steps to publish my first knitting pattern. This project is the collection of many firsts and represents stepping outside of the box over and over again. And I couldn't be more pleased with the final product. Announcing Winter River, the first in a series of many patterns to come integrating knitting with healthy active living. 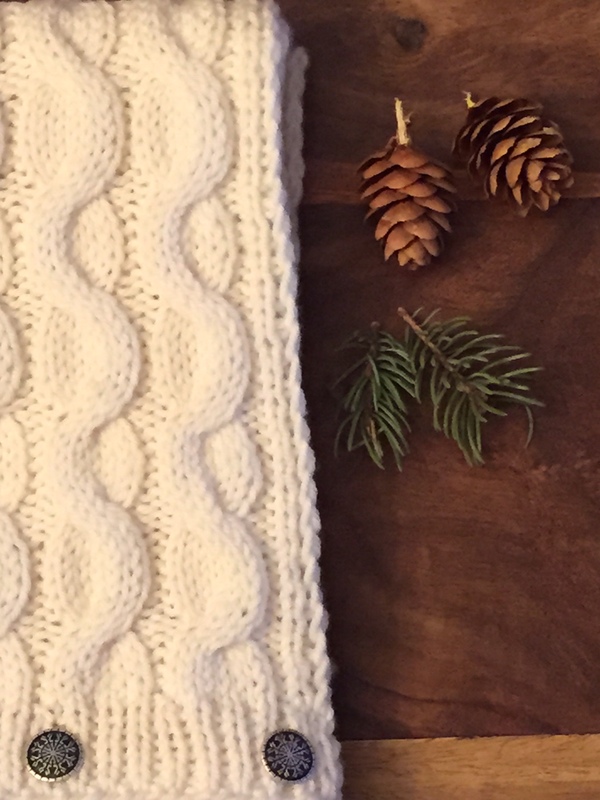 Winter River is a cowl that can be made with super bulky yarn for a quick project perfect for summer knitting or a longer version made with sport weight yarn that will be perfect for fall days. This pattern comes with a walking program for those that haven't been walking or an "advanced move" for those that are already active but need a little help decreasing their sitting time throughout the day. Finally, there is a healthy recipe for "Chicken and White Bean Soup" that will satisfy even the pickiest of eaters and is a breeze to make. Several years ago I had the idea to write a book about knitting and health. Last summer that idea started to take shape yet the more I explored the concept, the more I realized I had so much to learn before I could write a book. 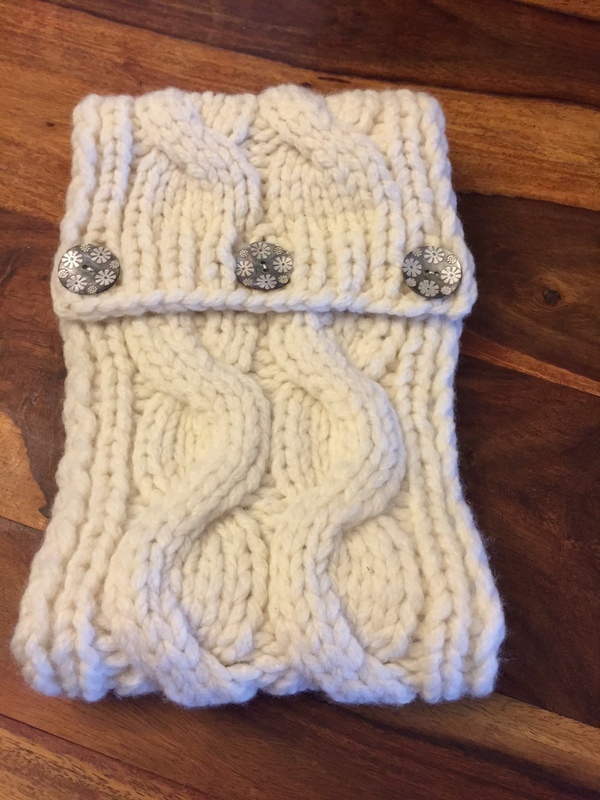 I took a step back and decided before the book I needed to learn to write a pattern and create a space (this blog) to share my thoughts on knitting, health and nature. Today's pattern represents a lot of learning, laughter, tears, friendships and conversations with many other designers, knitters and writers. Many have inspired and supported me along the way but there are three people that I am so grateful for all their assistance, guidance, patience and mentoring. The first is Donna Druchunas of Sheep to Shawl. Her mentorship has been invaluable. If anyone is interested in writing a knitting book, you must contact her. She's a guide, a teacher, a mentor, a hand-holder and provider of a good swift kick in the derriere when the procrastination bug hits or whatever else life deals. I would never have gotten this completed if it wasn't for Donna. Thank you just doesn't seem to be enough...extreme gratitude is more fitting. Thank you for believing my ideas. Second is Lisa Orgler. Her insights on illustration, blog development and mailchimp got me through over some major walls. She has created all the beautiful illustrations, logos and pattern template. Thank you from the bottom of my heart Lisa, I can't thank you enough. Finally, Sharyn Arnalt of the Yarn Scout in Bozeman, MT and GingerSnap Designs. When I really needed help and encouragement with the process of publishing patterns you were there. Thank you for your persistent, simple and softly stated "you can do this". Also, the environment that you have created at the Yarn Scout is so supportive. I will miss Sharyn, Kelsie and all the knitting group members once I return to Iowa. You can read more about the specifics of Winter River on Ravelry.